Here, then, are seven things to know about your credit report. A better understanding can speed up car shopping and clarify what can be an intimidating and confusing process. 1. Why is the salesman eager to get me to fill out a credit application? The dealership uses the credit report both as a tool to increase sales and a way to protect itself from undesirable or even fraudulent shoppers, according to auto financing and car-selling experts. Dealers know they have access to the best financing available, and they are eager to share these opportunities with their customers, says Marv Eleazer, finance director at Langdale Ford in Valdosta, Georgia. Almost 80 percent of his customers arrange financing through the dealership. “The reasons are pretty clear,” Eleazer says. “We generally get rates lower than most customers can obtain elsewhere and the amount we can typically get financed is greater than most local banks or credit unions.” This is a huge benefit to customers who owe more on their trade-in than it is worth, he adds, because sometimes the dealer finance office can add this debt to the new loan. Chris Cutright, a former car salesman, cites another reason dealers ask for a credit report. When people walk into a car dealership and request a test-drive, the dealer will want to know if they have the ability to pay for a car if they ultimately say they want to buy it. The fastest way to answer that question is to run their credit report. Further, if a customer “looks kind of rough,” a manager will want to protect the dealership’s cars against theft or damage that might occur during a test-drive, Cutright says. “Sometimes, just asking for a credit report will end the whole process.” Other times, it shows that the customer really is capable of affording a car. Of course, asking for permission to run a credit report before a test-drive requires good people-reading skills and diplomacy on the part of the salesperson. The last thing he wants to do is alienate a scruffy but qualified buyer. Another reason dealerships like to get the credit application filled out early on is because it is a rapport builder for the salesman, Cutright says. Some shoppers fill out the application themselves, while other times a salesman can fill it out with information the consumer provides verbally. If the customer agrees to provide information for the credit report, this is a chance for the salesman to earn the customer’s trust as they discuss their employment, salary and provide other personal information, he says. Consumer advocates, meanwhile, caution that shoppers should not agree to have their credit run until they are ready to actually begin the vehicle financing process. If consumers have run their own credit report before car shopping (to ensure that there are no errors on the report, for example), they have nothing to gain by allowing a premature credit check. Some dealers use the credit report for another, less consumer-friendly purpose, says Chris Kukla, senior vice president of the Center for Responsible Lending. “The result of the credit report has an impact on what the buyer pays for the car, and whether they get a hard sell for additional products in the finance and insurance office,” he says. 2. What information does my credit report contain and what does the dealership do with that information? a. The report shows your financial history. It is a record of your ability to borrow money and repay it on time. It weighs about 30 different credit-related factors such as your payment history, amount of outstanding debt and the length of your credit history. b. The credit bureau combines all the factors in your credit history into one numerical score commonly referred to as the FICO score. This ranges from 350 to 800, with the higher score being the best. The dealership will use that score as it contacts different lenders to determine if they will give you a loan and at what interest rate. 3. I’m paying cash. So why is the dealer asking to pull my credit report? 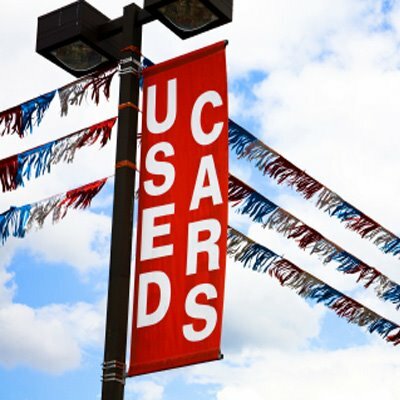 Federal consumer protection and national security laws require that dealers verify the identity of buyers, according to Bradley Miller, associate director of legal and regulatory affairs for the National Automobile Dealers Association (NADA). The Patriot Act has requirements meant to counteract terrorists who might use car buying to launder money. Other federal regulations, known as Red Flag Rulesrequire dealerships to protect against identity theft. Pulling a credit report is a quick way to verify that the person presenting himself as a buyer isn’t actually trying to steal someone else’s identity. In a legal sense, a dealer only needs a “permissible purpose” to access a person’s credit, Miller says, and there are a number of such instances. Usually, it occurs when a consumer wants to take advantage of low-interest financing via the dealership. But it would also be permissible, for example, for a dealer to ask for a credit report before accepting a personal check from a customer. It may be the dealership’s only hedge against taking a bad check when sales take place on evenings or weekends. That’s when banks are closed, and it’s difficult to verify that the funds are available. 4. Can the dealership run my credit without my knowledge? It’s not supposed to. The dealership is required to get your permission to run a credit report. Usually, the salesman asks you to sign a credit application. If you are shopping over the Internet, you can sign the application and send it back electronically, says Cutright, who managed Internet sales departments during his car-selling career. A dealer does need a Social Security number to run a credit report. And in a few instances, dealers have asked for the customer’s Social Security number, telling them that the Patriot Act required them to do so. Then the dealer used the number to pull the customer’s credit report without permission. In fact, the anti-terrorism law only requires a Social Security number for a cash car purchase of more than $10,000. It does not require a dealer to review a credit report, say attorneys from both NADA and the National Independent Automobile Dealers Association. Sometimes customers fear that when the salesman asks for a driver license (as is often the case before a test-drive), he will use the driver license number to run a credit report. States can no longer use a Social Security number as a driver license number, so this is less likely to occur. If you have an older license that still lists your Social Security number as your license number, contact your registry of motor vehicles to get it changed. 5. If the dealership runs my credit, will my FICO score drop? The first “inquiry” (a request for a credit report) has a minor impact on the credit score, but subsequent inquiries do not, says Melinda Zabritski, senior director of automotive credit for Experian. “It’s well known that consumers shop around when they are car buying,” she says. So Experian, for example, groups multiple inquires occurring within a two-week period and they have no further effect on a consumer’s credit score. 6. Besides the impact to my FICO score, are there other risks to having a dealership check my credit history? It isn’t a good idea to divulge personal information unless it is necessary. There is always the chance someone could take your Social Security number and other personal information and use it to access your bank or credit card accounts. So, despite his explanation of why dealerships do what they do, Cutright advises consumers to decline early invitations to run your credit. “Only allow them to run your credit when you are certain you are interested in buying a car,” he says. 7. Is there anything I need to do concerning my credit before I go car shopping? Check your credit report yourself. This is the most recommended piece of advice by both dealership representatives and consumer advocates. Eleazer says to pay attention to the accuracy of the report and challenge any mistakes with the credit reporting agency. Resolving these problems ahead of time could raise your credit score and give you access to a wider range of finance options. That knowledge could help you avoid mistakes and save a lot of money in the long run. The Edmunds content team brings you industry-leading vehicle reviews, news and research tips that make it easier for you to find your perfect car. When interest rates drop, refinancing your car loan could save you thousands of dollars. Say you bought a new car two years ago and there were a few dings on your credit. You might have been charged 9 percent on a five-year loan for a $23,000 car. Your payments are probably about $525 a month. Now let’s say your credit has improved, and so have interest rates on car loans. You could now refinance the balance of your car loan at 3 percent and lower your payments to about $445 a month for the remaining three years. That’s a savings of $80 a month and $2,880 over the life of the loan. It only takes about 15 minutes to fill out an application for auto loan refinancing, and you can do the whole process online. Most people don’t realize how easy it is to refinance a car loan and how much money they can save by doing it yourself. If you bought a car like this two years ago and your credit has improved, you could save nearly $3,000 by refinancing at a lower interest rate. Most people don’t realize how easy it is to refinance a car loan and how much money they can save by doing so. Other examples could be even more dramatic. In some cases, an uninformed used-car buyer might have saddled himself with a car loan that has an 18 percent interest. By refinancing at a competitive rate, he could slash his monthly payments in half. Is there a downside to all this? No. That’s because, unlike home mortgages, many auto loans don’t charge prepayment penalties or fees to set up the loan. And consumers can complete the application process online in about 15 minutes. Car owners who are thinking about refinancing their auto loans should first locate their purchase contracts and check their term (the length of the loan), the balance (how much they still owe) and the current interest rate. This is especially easy for car owners who have their accounts online. Many lenders offer auto refinancing. Start by checking the refinancing rates offered by your own bank or credit union. Compare your results to rates listed for online lenders and other banks on a site such as Bankrate.com. On Bankrate.com, type in the name of your state and the closest city, and the site shows a list of lenders and their rates. Be sure to review the term of the loans, since different terms have different rates. Also, be aware that many of these lenders will run a credit check when you apply, which could have a minor impact on your credit score. Remember, as interest rates drop, auto loan rates follow. Why throw that money away by paying unnecessary interest? Visit the Edmunds.com auto loan calculator and see how much getting a new loan at a lower interest rate could save you. Buying a used car is not like buying a new car. When you buy a new car, you have the added benefits of knowing that you are the first owner of the car and that warranties cover most mechanical defects for the first several years. Because the purchase of a used car does not have the same protections as purchasing a new car, a buyer must do their research before deciding to hand over money for any vehicle. Here are some tips that can reduce the uncertainty about the quality of the used car and take the guesswork out of how much you should be paying for the vehicle. One of the worst things that can happen when you are shopping for a used car is being rushed into making a decision before you have all of the information that you need. Most cars do not die all of a sudden, so when you feel that your current car is nearing the end of its useful life, start the shopping process. Figure out how much you can afford to pay for your next car and what features you will need to focus on for the car to accommodate your lifestyle. You never want to put yourself into a situation where you cannot say no to a seller because you have to have a car right away. Before heading out to look at vehicles, you should have a list prepared of the things that you need to look for when shopping. The document that you create should include a list of acceptable makes and models and the production years that you would be interested in. You should also include a price range that you would be willing to pay for that vehicle based on the average value of that type of vehicle, which can be found at Kelley Blue Book (www.kbb.com). Additional features that interest you can also be added to the list so you will remember to look for them when shopping. Once you have found a vehicle that meets your needs and fits into your price range, have the vehicle checked out by a mechanic before you decide to purchase it. Most auto shops will do this for you for a minimal charge, which is much better than finding out about a major problem months after making the purchase. The mechanic will point out any major issues that you should be aware of, allowing you to avoid purchasing a car that has a bunch of impending problems.